Substation automation designers are faced with many choices about system topology, primary and backup devices, and redundant data paths. Determining the reliability of substation automation systems can be a significant analytical problem. The paper includes examples that illustrate practical applications of fault tree analysis to compare the relative reliability of system configurations. The paper shows that fault t:ree analysis is a practical tool to help understand and answer integration questions. In the 1970s and 1980s engineers had many choices of vendor equipment for substation instrumentation and control. 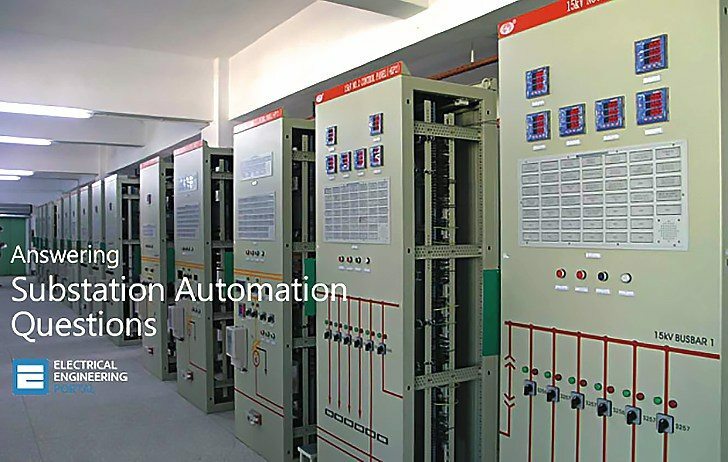 Regardless ofthe supplier, virtually all remote control and indication systems included a remote terminal in the substation as the SCADA connection. Engineers were primarily concemed with reliability at master control centers, where dual systems were often employed in response to almost daily failures of early magnetic media, computers, and monitors. Today designers can choose a wide variety of devices and methods to form an overall instrumentation and control system. In many cases microprocessor-based protective relays were installed for line protection. Designers now recognize a potential cost savings by having the equipment provide “double duty” as a part of the SCADA system. Some of the factors that a de signer considers in selecting the I&C components and designing the system are equipment costs, installation and commissioning costs, perfonnance, security, vendor independence, and reliability. This paper is concerned with the reliability component of the selection and design process. Reliability engineers have developed many tools to analyze the failure states and probable failures of systems. In the electric utility industry, engineers involved in nuclear power plant design may be familiar with a variety of tools and computer programs employed to assess critical system reliability. This paper provides a substation I&C desigrer with tools to compare the reliability of systems without expending days of training in theory, methods, or computer applications programs. Any ofthe examples in this paper can be calculated in a few minutes with a hand-held calculator. This article are really very informative.and i am inspire by reading this article. Thanks for sharing this article.